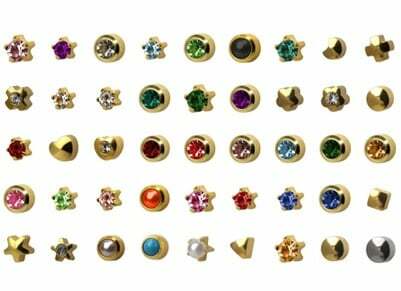 The Gar-Gano company offers over 100 styles of hypo-allergenic sterilized ear piercing studs for the ear piercing instrument. All studs are made of high grade 316 surgical steel and are nickel-free. Most styles are available with a 24ct. gold electro-plate over surgical steel. The average cost is $2.00/pair.